This report urges WASH sector practitioners to take more seriously the threat of climate change and the consequences it could have on their work. 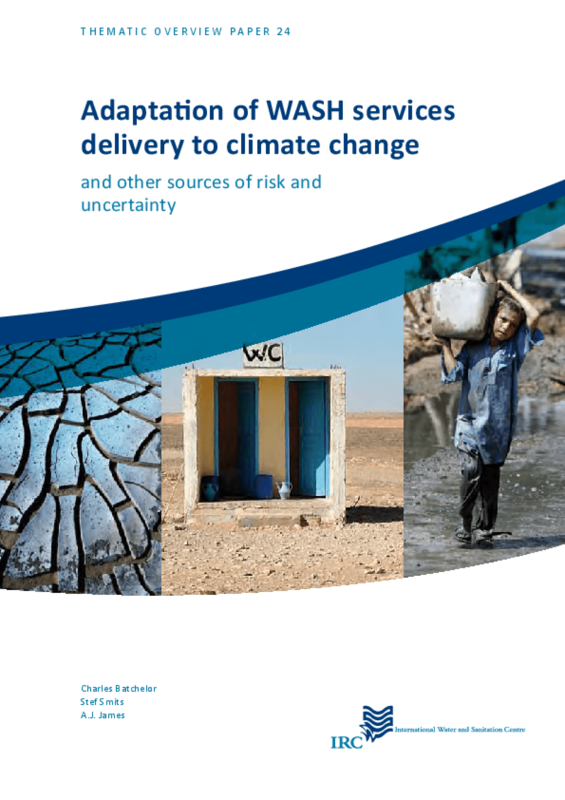 By considering climate change within a risk and uncertainty framework, the field can use the multitude of approaches laid out here to adequately protect itself against a range of direct and indirect impacts. Eleven methods and tools for this specific type of risk management are described, including practical advice on how to implement them successfully. Copyright 2011 IRC International Water and Sanitation Centre.